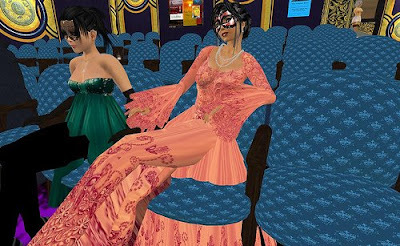 Two Second Life events and 3 exhibitions at MixED have been added to our Calendar. Designers Expo/Masquerade Ball at Monogramia Prime Convention Center. Music, costumes, custom work & more. Lutece is a virtual world built with VRML. To enter, you need Blaxxun Contact or BSContact plus follow the instructions provided in MixED. Seamless3D is a modeler and avatar design suite for VRML and X3D. It also has a server for collaborative edition of models. To enter, you need to follow the instructions provided in MixED. Meeting and exhibition of the work that has been done in X-ROBOTICA/X-3DME. Just go to their website and follow the instructions.